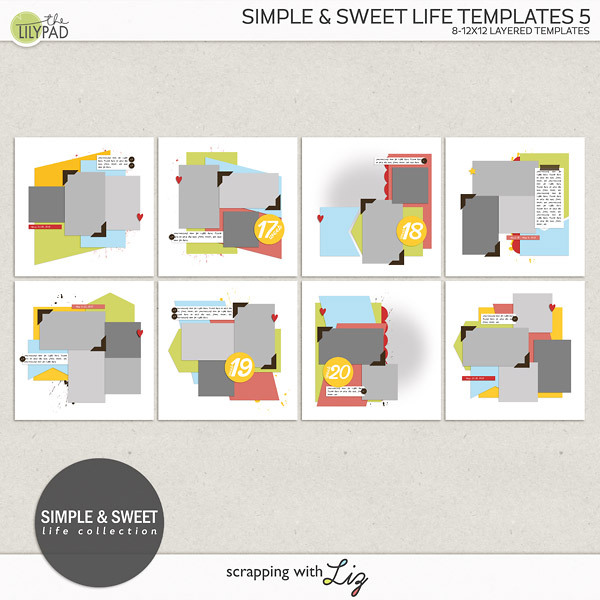 A lot of my templates have a white mat underneath the photo. For some reason I tend to scrap a lot of my photos with a white border, therefore I include the optional white photo mat in most of my templates. Just because a template might come with a white photo mat does not mean the photo needs a white border! I wanted to show you what I page looks like with the white borders and what it might look like if you change it up. 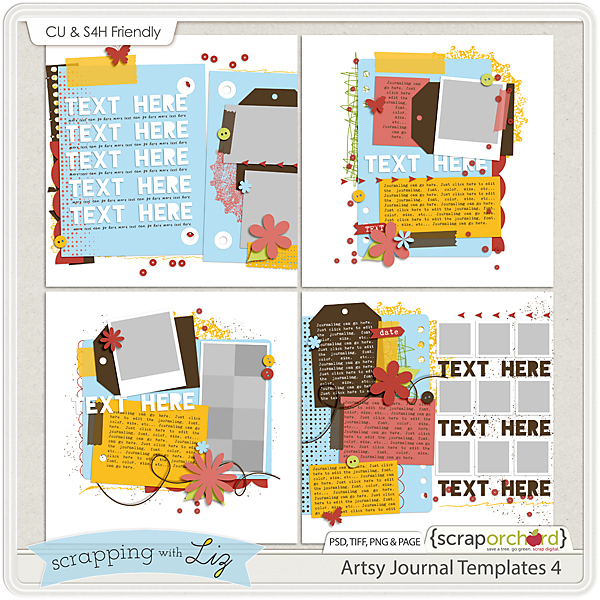 I'm using the bottom right templates from my Artsy Journal Templates 4 set. I've been dying to use that template and now is the perfect time. See all those white borders? So here's what it looks like scrapped. This is the way I sort of visualized this template when I was putting it together. Here's what it looks like with paper clipped to the white photo mat underneath. I also added a drop shadow to the photo layer and turned each layer a bit. What do you think? Which one do you prefer? I think it's a tough call. 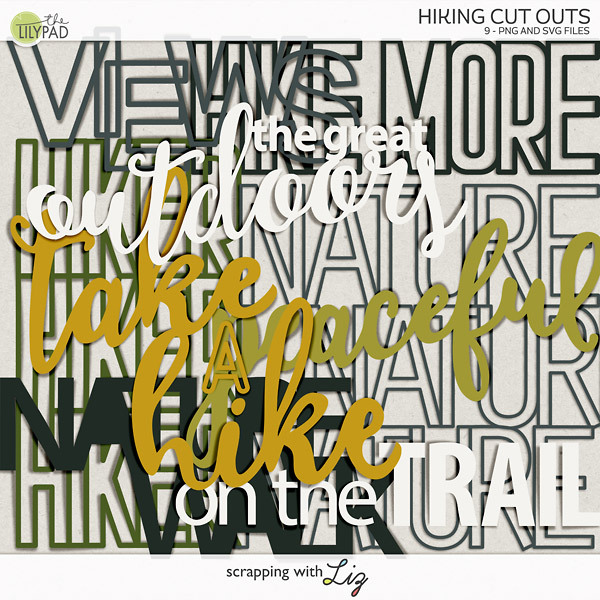 There are so many ways to use digital scrapbook templates. Make sure to change them up a bit to fit your style....just because it comes with a white photo mat doesn't mean that you have to use the white photo mat. I like the second LO - mainly because I would usually go with the white photo mat ... I like that it is different from what I would normally do. Thanks for the idea!